WasteExpo 2017, held earlier this month in New Orleans, is like the World’s Fair for landfill owners, trash haulers, recyclers and scientists, whose fields require them to study how to neutralize and contain what we discard and excrete. The three-day extravaganza featured a leachate management summit. Sponsored by the Raleigh-based Environmental Research & Education Foundation, which funds and directs scientific research on waste management practices, the summit devoted a full day to the challenges and technologies in dealing with leachate. However, leachate aerosolization, a current obsession of Rep. Jimmy Dixon, a Republican from Duplin County, did not appear on the agenda of one of the waste industry’s premier events. That’s because leachate aerosolization has little traction outside the halls of the legislature. “The only place I have heard the term ‘aerosolization’ used is by Mr. Houston,” Bryan Staley, president and CEO of the Environmental Research & Education Foundation, told NCPW in an email. Kelly Houston, a former lobbyist and Republican donor, and a small businessman from Cornelius, invented a leachate aerosolization system, the subject of House Bill 576, sponsored by Rep. Dixon. Dixon spearheaded a spirited discussion of the technology at a Senate Agriculture and Natural Resources committee meeting last week. The committee is scheduled to vote on the bill at its Wednesday meeting, which begins at 9 am in Room 1027 of the Legislative Building. The bill has already passed the House. 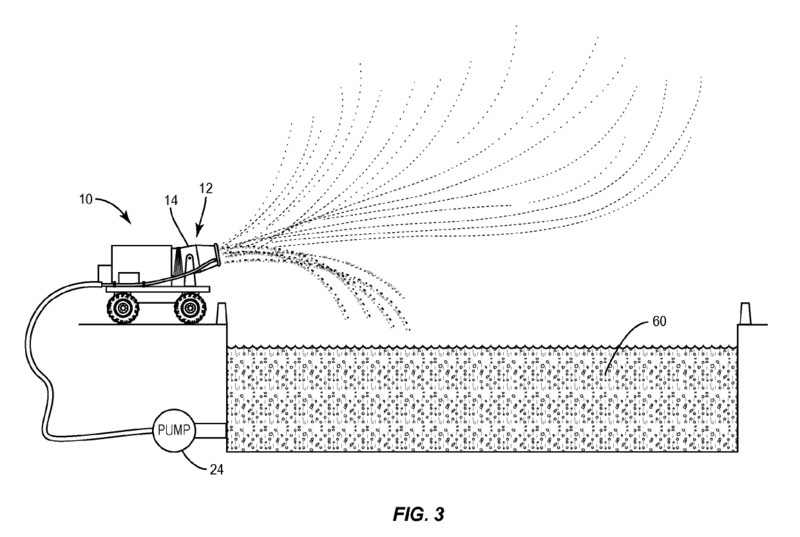 As NCPW reported earlier this month, the theory behind the system, which Houston patented in 2015, is that leachate — essentially landfill juice — is pumped to a mobile sprayer that ambles over the top of a landfill. The larger particles — contaminants — will fall to the ground, ostensibly on top of the landfill, allegedly leaving uncontaminated, tiny particles to drift away. “Can you share evidence that came from DEQ or the technology itself that demonstrates it removes contaminants in the leachate?” said Sen. Jay Chaudhuri, a Wake County Democrat. “There’s a multitude of data that goes very far back indicating that’s what happened. But I don’t have that data with me,” said Dixon, who, earlier in the month, claimed he had “10,000 pages” of evidence. “DEQ does not have specific type of data that was asked about,” added Michael Scott, chief of DEQ’s Division of Waste Management. There was a waste working group, Scott added, that received aerosolization information from Republic Services, a Phoenix-based company that operates landfills across the U.S. The company also made a presentation to the Environmental Review Commission in February 2016. DEQ has issued permits for this method at three Republic landfills statewide and one test site, the Brickhaven mine, which contains coal ash, in Chatham County. It is operated by Charah, Inc. The permits require the landfill owners to monitor contamination and report the type and levels to DEQ. But if HB 576 becomes law, DEQ couldn’t require air permits, as long as the spray doesn’t produce “significant air contamination.” DEQ would determine what constitutes “significant.” The department could roll aerosolization requirements into a landfill permit, though. Sen. Angela Bryant, who represents several northeastern counties, said she was concerned about the safety of landfill workers who could be exposed to the contaminants. “Help me understand how it will not get on the person with the bulldozer,” Bryant said. Leachate aerosolization entered the legislative lexicon in 2015, shortly after Houston’s received his patent. At that time, lawmakers instructed the Environmental Review Committee to study new leachate technologies and strategies — including mobile aerosolization systems. But the bill leaps from merely studying the technology to now allowing it to proliferate without independent scientific data to prove its safety or effectiveness. Houston, who did not respond to requests for comment in NCPW’s original story, contributed $5,000 to Sen. Trudy Wade’s campaign last year — as leachate aerosolization language was being added to an environmental bill. At the time, Wade was the chairwoman of a Senate conference committee charged with compromising with the House on some of the bill’s particulars. The bill ultimately failed. 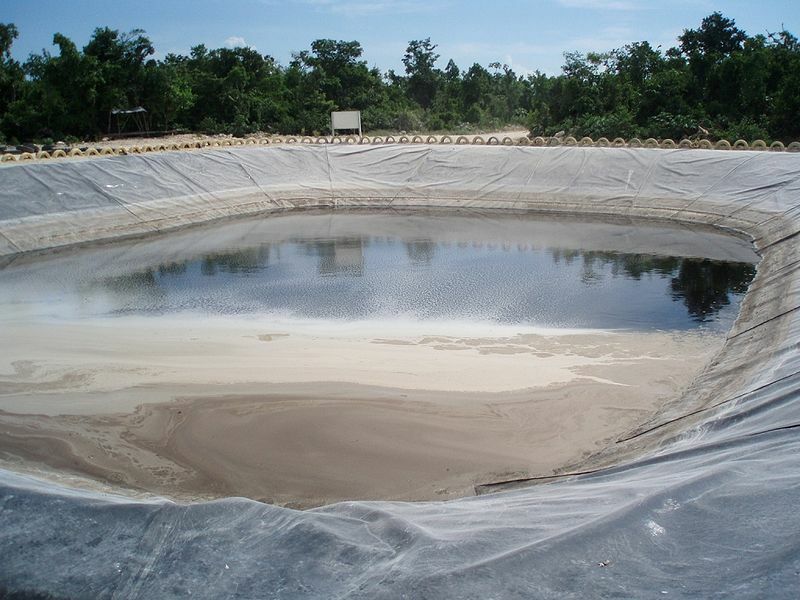 Landfill operators are always looking for cheaper ways, including evaporation, to dispose of leachate. It’s very expensive to pump, treat and truck the material — which can contain pathogens, heavy metals, PCBs and other harmful contaminants — to wastewater treatment plants. It’s in the waste industry’s financial interest, then, to find, promote and nudge regulators on cheaper technologies.